Costs associated with business travel don’t end with what can be recorded on receipts. Rental vehicles, flights, hotels, and per diem are a large portion of your travel and expense management, but there are hidden costs to consider. Taking it one step further, not every “cost” is monetary in nature. In addition to actual money spent, you’ll need to account for what’s known as traveler friction. This refers to the “wear and tear” employees experience when traveling for business. These negative aspects can include things like lost productivity, stress, and time lost to travel delays. Employee well-being and productivity impact the true cost of business travel. Fortunately, knowing the sources of travel friction and developing strategies to alleviate them can help reduce these hidden costs. Business travel is a demanding process, with long days, late nights, and time away from family. It can strain and stress even seasoned road warriors. There are several solutions for avoiding employee burnout. Start by looking at your travel policy. Is it restrictive, or does it allow for personalization and accommodation? Employees who travel frequently may benefit from more and better booking options. Rather than making several layovers, make room in the travel budget to allow for direct flights. Providing rest time after a trip helps increase work-life balance. This can be done through paid time off or incorporating leisure time into the business trip. The cheapest option may seem good on paper, but it’s not always a cost-effective solution. A low-cost plane ticket can end up being costly if a full day is lost to transit and waiting on flight connections. Be sure to strike a balance between seeking out cost savings with your travelers’ convenience and comfort. Keep their personality and preferences in mind when it comes to travel booking. One employee may maximize their productivity with an early-morning flight, while a second needs a later start to avoid a mid-day loss of productivity. Overly rigid policies are a key source of travel friction. Employees will be more productive when travel arrangements are adaptable and sensible. Allow your travelers to book under conditions that work best for their needs. A fair and flexible expense policy helps employees understand parameters, cutting down on unauthorized spending. When systems for approval and reimbursement are too complex, it increases travel friction. Once an employee returns from a business trip, they’re faced with the prospect of submitting receipts. Define a timeframe in which receipts must be submitted, as well as when employees can expect to be reimbursed. The cost of business travel comes down to more than just dollars spent. It also includes the impact on your company’s most important asset — your employees. Fortunately, working with Teplis Travel can help you reduce travel costs while increasing employee productivity. We’ll negotiate for the lowest rates, maximize your supplier discounts, and ensure your travel policy is followed. 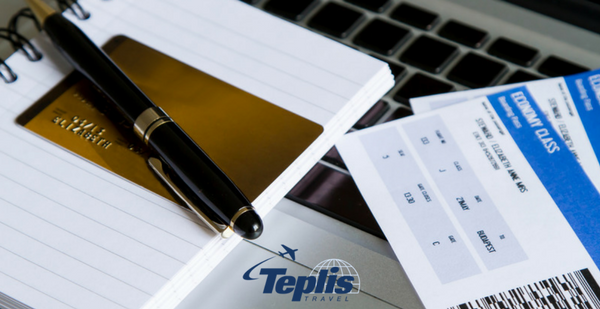 To find out more about how we streamline your travel and expense management, contact Teplis or call 800-669-6547 today.